An exhibition by makers whose work reflects traditional techniques. Curated by Hilary Burns. This exhibition was arranged on a trail through the ca 1475 house with it’s beautiful interiors and fine examples of English furniture. The craft of basketry that has figured so largely throughout history is fighting for survival in many countries. This exhibition features the work of craftspeople who are keeping the skills alive; some of them are the only ones making a particular style of basket. They may have spent a lifetime in the craft, or have deliberately learned the skills in order to preserve them, or are using the traditional techniques in a contemporary way. Making often depends on the local availability of materials. Land is worked sustainably to preserve these resources:maintaining a willow bed, or a woodland of managed ash, chestnut or hazel, an annual cycle of coppicing, harvesting, grading and drying takes place before the weaving can begin. Specialised tools and techniques have developed to enable small diameter wood to be processed into a workable material. To split or cleave wood effectively demands skill. Heat is sometimes used to help separate the fibres of the poles, before taking a knife or froe to them; they may be turned in the flames (Spanish chestnut baskets) or boiled for hours (Cumbrian swills) or cleft using physical effort and a brake (Sussex trugs). The forms of these baskets have been developed over decades to perfectly suit their function. They were used in small scale industry, agriculture and fishing. As these rural activities have disappeared or been mechanised the survival of these techniques depends on finding new uses and generating an appreciation of the skills involved. I am nearly 80 and still enjoy making big, heavy baskets when my hands will let me. 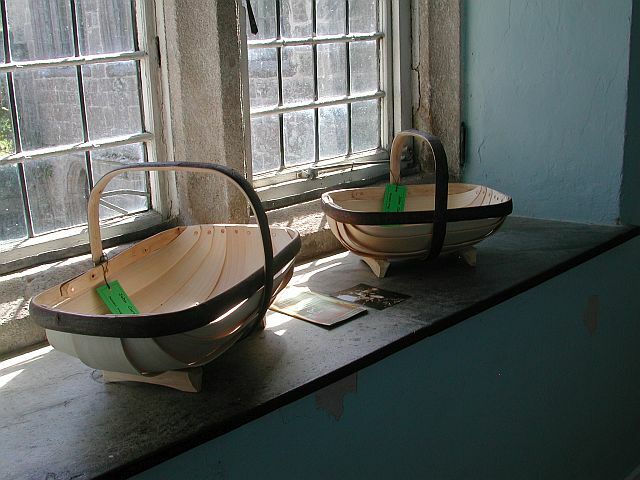 My Sussex trugs are completely hand made, as they were originally. I cleave the panels out of white willow, the chestnut used for the handles and frames is done the same way while still green. These are all then shaped with a drawknife on a workhorse. The chestnut has to be steamed and formed into the handles and frames of varying sizes. The willow panels are soaked in water so that I can shape them to fit the frames as the trugs are assembled. The history of the trug goes back hundreds of years. Coppice chestnut was used for charcoal and the charcoal used to smelt iron. All the ingredients for making trugs were to hand; the smelting process requires and abundance of water, where there is water there is bound to be willow. The trugs, round and handle-less like a swill or spalk basket, would have been used to earth up the clamps of charcoal. Then they would have been sued to carry the charcoal to feed the smelting furnaces. A handle would have been added to the trug as further uses for it wer found on smallholdings and farms, for stock feeding and vegetable collection. The move of the trug to garden work was due to Queen Victoria ordering some from Thomas Smith of Hurstmonceaux at the Great Exhibition of 1851 in Hyde Park. On completion of the order he took them to London in a hand cart. I initially qualified and worked in science, then changed careers to pursue a long-held interest in crafts and the natural world. I learnt to make baskets around ten years ago while living in Scotland, and have been addicted to the smell and feel of willow work ever since. 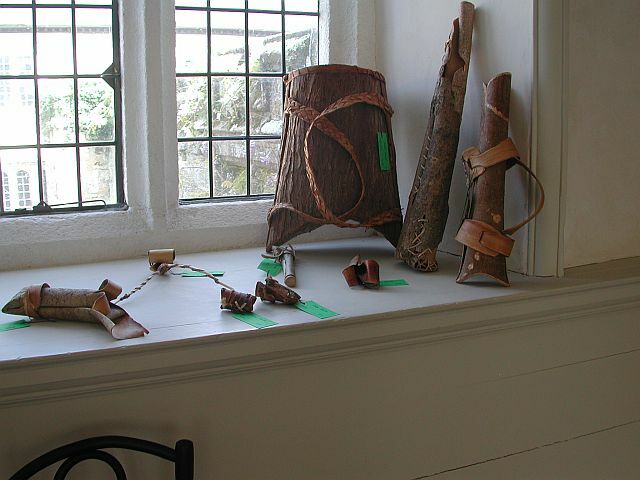 A move to Cornwall in 1996 brought the opportunity to concentrate on willow work full time, supplying local markets, galleries and producing work to commission. All my work is made with native willow from Somerset, or harvested locally in Cornwall. Some of my baskets also include other hedgerow materials such as dogwood and other willow varieties to increase the range of textures and colours. I get great satisfaction from making strong, functional baskets using traditional techniques, a well made basket from natural materials will provide good service for many years. Baskets are the ultimate renewable resource. I started basket making in Deptford with John Galloway as my tutor and mentor in 1986, after much agricultural and circus work. When I first visited the Breton gypsy family of Jean Paul Veronbier, I was shown a stack of split willow baskets in one of the caravans. I was awestruck instantly, and then after a 3 hour introduction with his son Boris, I took home the completed frame basket on my motorcycle. It took a few attempts to get it right, with no tutor about. In 1987 I was growing the osiers for split work at the Woodlands Farm at Shooters Hill, London. This was because most willow growers don’t cultivate to this size. Cutting, peeling and then splitting and shaving the material has always been enjoyable to me. The baskets feel light but I would argue that split work can be stronger as there is more surface contact with the ribbing (it being flatter on one side). 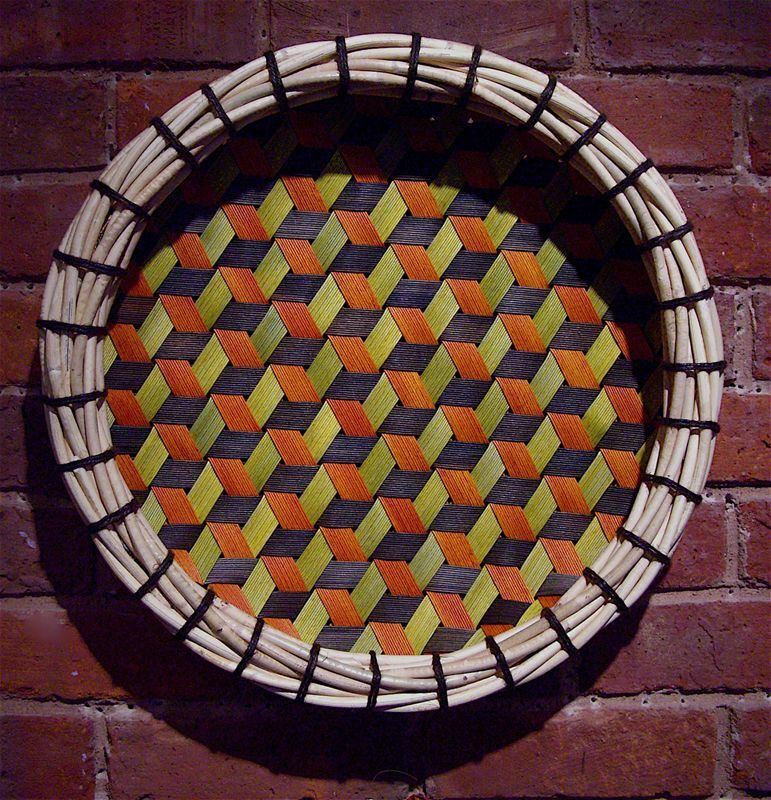 Frame basketry is what took me into architectural interests. When I later got into bamboo, the first thing I wanted to do with it seemed naturally to split it. With bamboo there’s no pith to be shaved like willow but just as importantly you have to ‘dress’ the sides as they cut like a knife, and it’s generally not as kind to work with as willow. The whole language of splitting offers economy in material terms as the area vovered is multiplied 3 – 4 times, in the case of willow rods. Bamboo can be split 12 ways or more, like willow it depends how thick the pieces are. Many buildings of today have frame systems sweeping through them. The whole area of lightweight construction has been an inspiration to me. Even Victorian gas silo’s have a linear charm that can be recognised in boat building and basketry from many cultures around the world. Rhythm, routines, repetition and discipline attracted me to basketmaking; a kind of choreaographic sculpting combining physical and mental endeavour, taking a long tome to perfect – I trained and worked as a dancer in a previous career, and still feel close to those roots. As I continue my current practice, links with dance continue to present themselves. Using traditional materials in new ways and new materials in traditional ways is something that appeals to me. We are fortunate in Britain to have access to a wide range of materials and knowledge of worldwide techniques. I am also fascinated by links between early life forms and basketmaking structures, an area I am currently researching. Recently my work has broadened to include collaboration on larger projects with other basketmakers and artists. I chose to be a basketmaker when I started my new life in the countryside, in central Catalunya, Spain in 1985. My teachers have been local, most of them non-professional, and the baskets themselves have been traditonal forms in use in rural life. As I loved both their functionality and beauty I tried to keep the forms alive and, in some cases, rescue them from oblivion (the double ‘pelepatatas’, Catalan ‘peasant’ basket, spinning basket). I prefer to work with local and native materials, and I started making baskets with willow and Mediterranean cane (Arundo donax) which is common in Catalunya in warm areas. This cane splits very well either green or dry with teh help of a knife or cleave, providing lengths of 2-3 m ready to be used as weavers or wetches. When it is green, this strong and beautiful cane can be used on it’s own, as found in baskets from southern Spain. 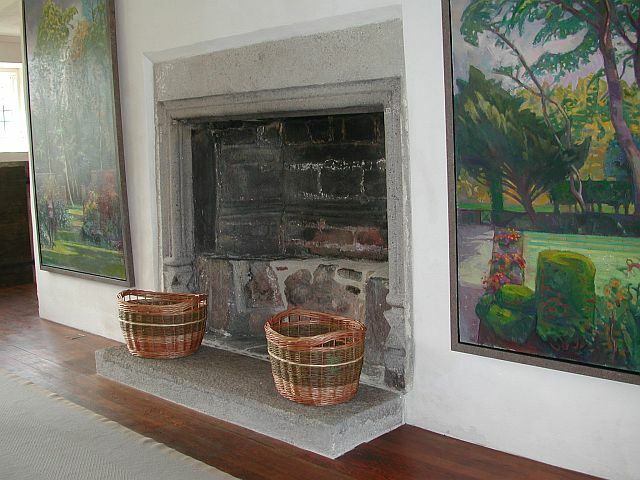 When I moved to Galicia – where the climate is Atlantic and native materials are different, my baskets changed. I started making wood strip baskets using wide strips of wood, mainly chestnut, as in Galicia it has been cultivated for centuries as part of the staple diet as well as a source of timber. 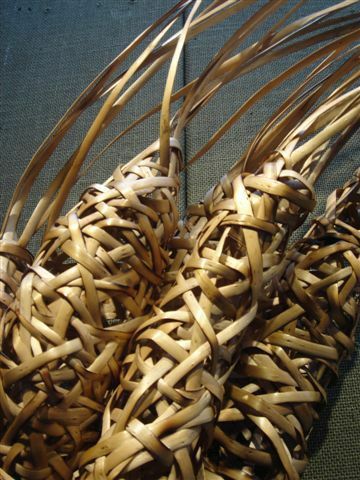 Wild cherry and willow, hazel, oak, birch and other wood is used in basketry as well. It can be split witout the application of heat, or warmed in an open fire or in a traditionasl wood-fired bread oven, and later planed with a drawknife on a bench, ladder or type o iron clamp known as a ‘cat’. The choice of the wood is very important; preferably cut in winter, from sunny and dry places, straight and without knots. The wood can be split and planed at the same time, or planed when the basket is to be assembled. Baskets made from wide strips of wood are less versatile in form, but provide objects which – like wooden furniture are durable and form a beautiful patina over time. 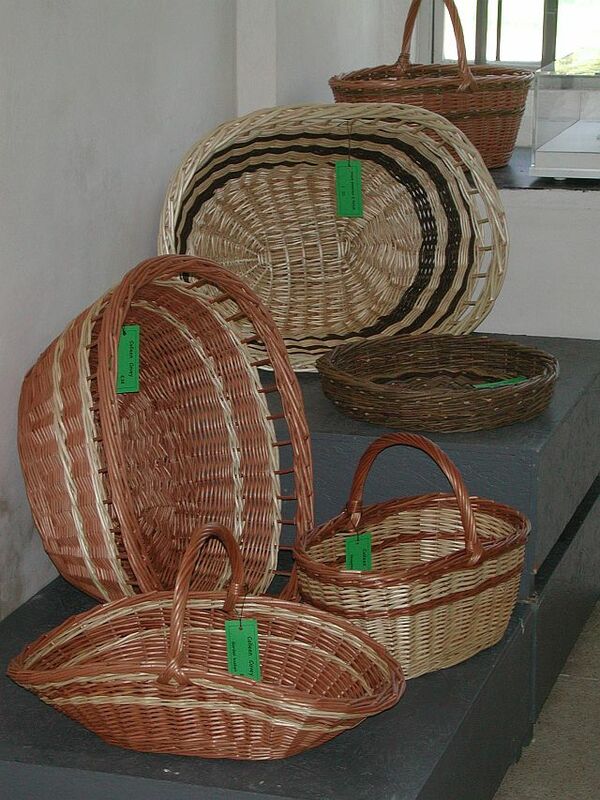 At the same time as learning wide strip basketry I learned the narrow strip method, considered the simplest form of split wood basketry, which is still practiced in teh Pyrenees. Forests of hazel (Val d’Arran, Vall d’Esterrri in Catalunya) or chestnut (Les Aberes, France) provide the material, which is split, worked green and without heat, in two different ways with the help of a knife or penknife, and planed carefully with the same tool, on the knee. Correct selection of the wood is vitall, especially when split without heat, and this requires knowledge of the terrain (choosing areas of poor soil) and the ability to distinguish the right colour and texture of the bark. 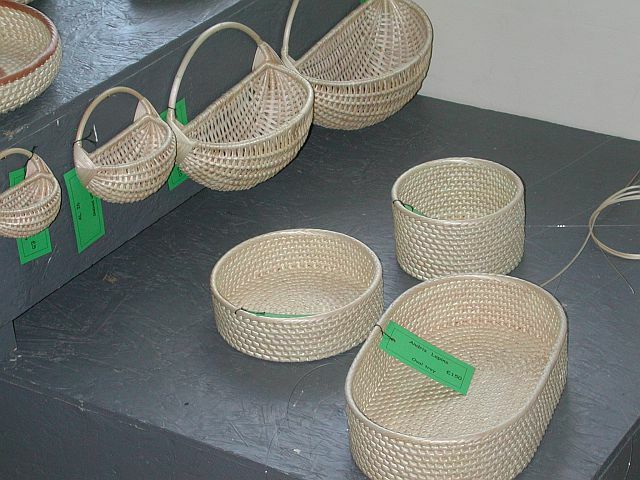 Baskets made using this technique include the ‘bres’ (cradle in Occitane) and the ‘banasta’. In all of this, it has been the personal relationship with my teachers, simple fold using simple methods, that I have so enjoyed, as well as being alink with a future generation of makers. 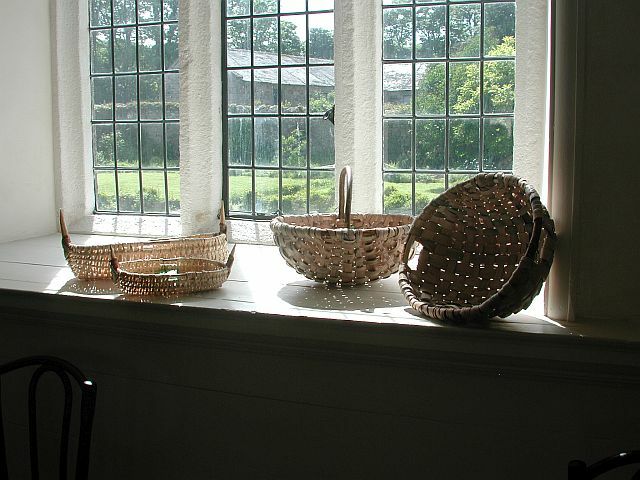 I have been making tradtional Lakeland oak swill baskets since 1988. 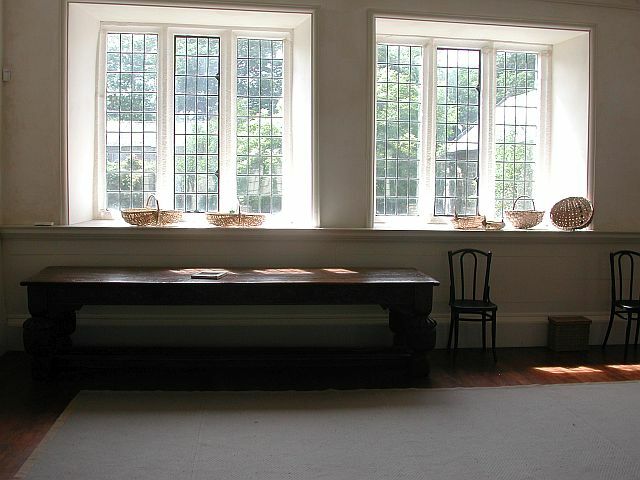 Tough and durable ‘swills’ have been widely used for centuries, on farms, in industry and in the home. The trunks of locally coppiced oak trees are quartered lengthwise, boiled in water for some hours and then riven by hand into thin strips. A hazel rod is steamed and bent to make the oval rim or ‘bool’, around which the oak strips are woven. My swills are mad ein a variety of sizes and styles, from small shopping baskets to larger log and laundry baskets. Also available are pack horse panniers, charcoal burners, ‘scuttles’, round shallow trays; and I also take commissions for individual designs. 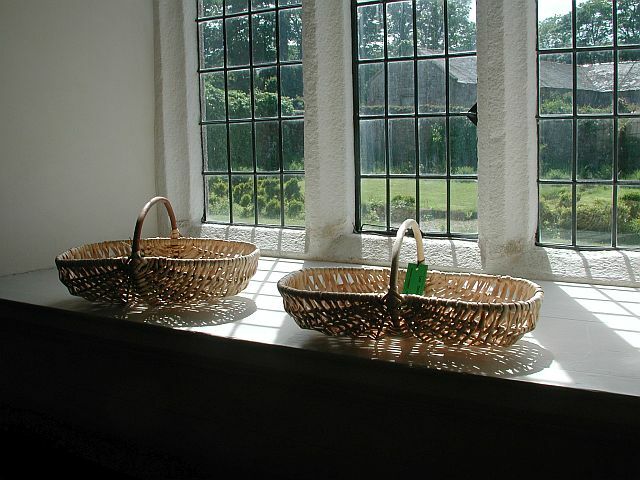 Owen’s ‘swill’ and basket with handle on right, Lluis Grau’s baskets on left. I would say that traditionally baskets in our country are made of round (unsplit) willow, split hazel, pine (or spruce) splints, roots and willow skeins. 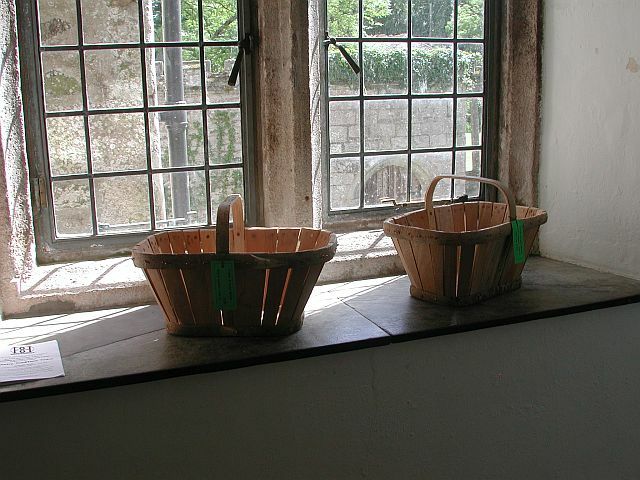 To make baskets using skeins and roots is very labour intensive, but these baskets look very nice. It takes some time to get used to working with the skeining tool. When I started to make skeins I spoiled 80 – 90% of the willow. Now, this number has decreased to 10 – 15%. But there are also some advantages to this sort of work. 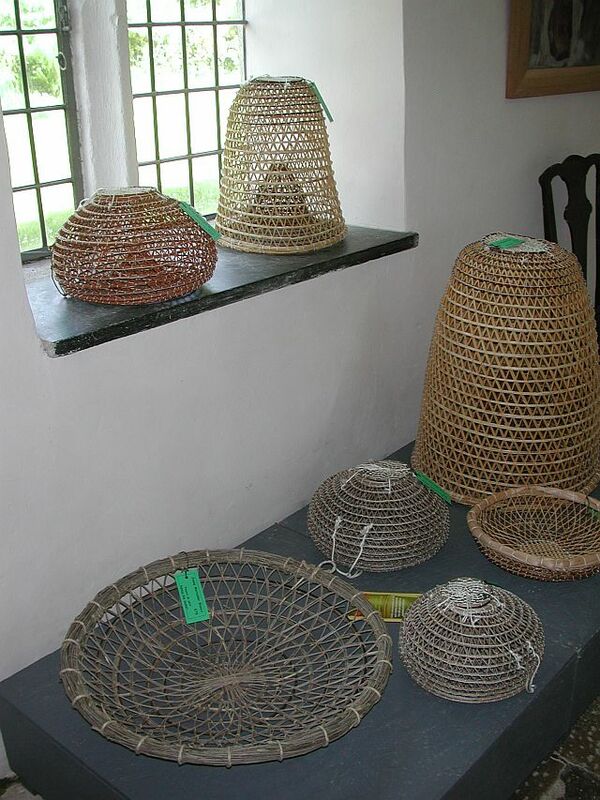 If you start to make a basket using round willow, chih has to be soaked, you have to finish the basekt the same day; but if you are making a skeined basket you can do 10 – 15 knots and then continue at any time, for example when it is raining heavily outside. One more advantage – you can work in your workshop, living room or even resting in teh armchair watching the news on TV (actually you can’t watch, just listen). The nansa (or nassa, Spain/Italy), also called moranell, is a fishing trap handmade by fishermen in Catalunya. In the Emporda coast (80 miles north of Barcelona), these traditional technqiues transmitted through many generations have been kept alive up to the present day. In every fishing village there is an enormous variety of nanses, one for each kind of fish. Even though all traps serve the same purpose, some local craft differences can be noticed along the coast. The materials used to come from the plants commonly grown in a dry Mediterranean climate, and therefore are endowed with a high strength quality. Usually, fishermen have made their nanses when they couldn’t go out fishing because of the bad weather, especially when the strong wind from the Pyrenees blew towards the coast – Nord Tramontana. Nanses had been for years completely necessary for traditional fishing, and there wer soem fishermen that could lower 40 or 50 traps each time. However, nowadays the handmade nanses have almost disappeared and have been replaced by plastic or iron made traps, mainly due to the new industrial fishing needs. In a short period of time, a traditional way of life of fishermen and craftsmen established through many generations in the seashore villages has almost vanished forever. Some of the materials used for the fishing traps. My work is inspired by the cedar and birch bark baskets made by the indigenous people of Canada, America and northern Europe. While cutting and cleaving ash, sweet chestnut, cherry and cedar in Hertfordshire, to make sculptural chairs and musical instruments, I began experimenting with bark and became passionate about its beauty and strength. Stripping the bark from wood cut in early spring and summer while the sap rises, it peels off easliy and feels like soft leather and can slowly be moulded, shaped or left to form its own design as it dries, curls and hardens. This process can take hours, days or weeks depending on the weather and the bark, even now, will be more flexible in damp condidions, stiffer in dry ones. My favourite tool bag is made of sweet chestnut bark with a hidden internal cleft ash handle. When propped against a tree it becomes almost invisible and no doubt one day I will loose it and return it to the woods which will provide me with another one. My pieces in the exhibition are made to be handled and used. 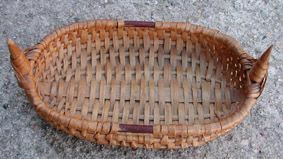 Jack Rowsell, a farm worker living in Tiverton, was one of the last tradtional makers of this type of basket. Made in graded sizes, the design is based on an oval shape, the smaller sizes with a central handle, called stave baskets and larger ones with hand holds at each end, known as maunds. A large round form, the ‘half hundred’ also exisits. This type of basket was made by agricultural workers and not by professional basketmakers. They were used ot harvest potatoes and mangels (swedes) and for mixing feed for animals. Jack’s baskets we e made close-boarded, there were no gaps between the staves. In the area around Hatherleigh the soil is heavy clay and examples found locally have gaps of varying sizes that would have allowed this to fall through. Various materials were used, some baskets have hazel or willow bonds and handles and on some the bottom bond is a metal strip. Jack used elm for teh base, pine for the staves and ash for the bonds. The basket makes good use of small diameter ash. The handle and top bonds, made in advance are cleft from semi-green logs, shaved down, bent carefully into shape on the former and left to dry. The bottom bond of ‘green ash’ is put on last, after the base, handle, top bond and staves have been nailed together.